More than half of chief constables appointed by police and crime commissioners in 2015 were the sole candidate for the job, analysis by PoliceOracle.com has found. Of the 11 forces in England and Wales in which PCCs appointed a new chief, six did not have more than one applicant for the top job. Among the other five, there were two forces with just two people competing for the post. Among the constabularies whose chief constables retired last year were the two biggest in the UK with PCCs – West Midlands Police and Greater Manchester Police. The former only had one application for the role, and the latter just two. The findings perhaps call into question reforms to police governance since 2012. Gavin Hales, Deputy Director of the Police Foundation think tank, said: "As an employer you would feel concerned perhaps, are you missing out on talent and getting the best person for the job? Although it is a very small pool they're fishing in. "The Police Reform and Social Responsibility Act meant that chief constables don't have to have served in another force any more. That could impact on the diversity in leadership in terms of a diversity of ideas. "As chief constables appoint their senior leadership teams now you could conceivably have a whole chief officer team who have served only in one force." He added that with the removal of involvement of HMIC and the Home Office in the process: "The situation at the moment we have is one of a lack of strategic oversight at a national level." Some nine of the 11 appointments, including at the two largest forces, were of personnel already within the senior leadership teams. Research by Mr Hales last year found that chiefs appointed by PCCs were almost twice as likely to have served as deputies in the same force as those appointed by their predecessor police authorities. He had also found that there was a perception under the system of potential applicants believing “there is already a name on the door” and so being put off going for jobs. The West Midlands Police and Crime Panel believes that the process incoming chief Dave Thompson went through was “doubly rigorous” because of him being the only candidate, its chairman Darren Cooper has said. Speaking to PoliceOracle.com, Chief Constable Giles York, NPCC workforce lead, said that he agrees that the lack of competitiveness is concerning. He said: "It reinforces a perception that there is a limited pool at the top. "I think that mixing top teams is really positive. There's a strategic benefit in having someone in the chief officer team who has been brought up in the force but it's really healthy to bring in someone from outside the organisation as well." CC York said he favoured bringing back the requirement to have served as a chief officer at more than one force. "If that was restored again it might open up the process." He added that the PCC system is "much more like one-on-one marking and the individual becomes everything". The College of Policing's leadership review identified the recruitment process for chiefs as “favouring safe, local candidates”. 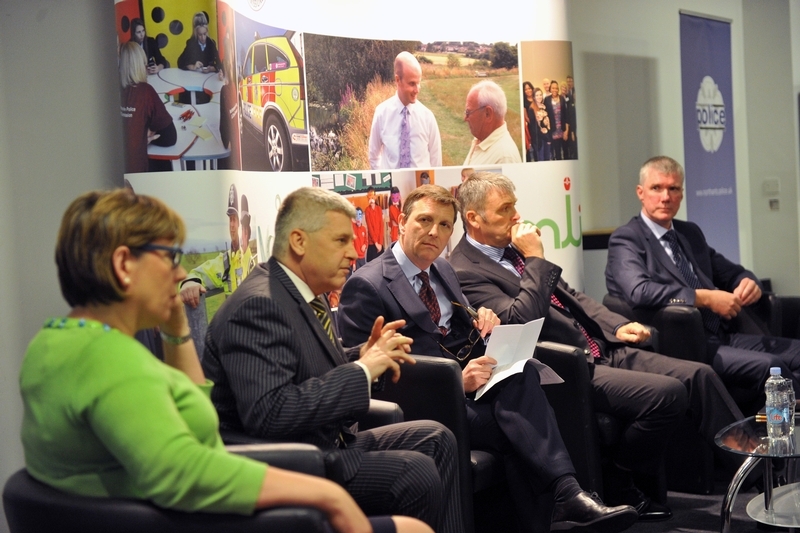 It has called for would-be chief officers to be seconded to business to gain extra experience. In his submission to the College's consultation Lincolnshire PCC Alan Hardwick, whose own suspension of CC Neil Rhodes was declared unlawful in 2013, lambasted the "closed shop" at the top of policing, in which "the culture of the service is strong[...] in stifling change and innovation". He called for changes to "financial, pension and terms of condition obstacles to chief officer movement". Although it was put to him that PCCs may be a barrier to a competitive process, a Home Office spokesman said: "It is entirely a matter for police and crime commissioners to make decisions around appointing chief constables." The spokesman added that the government has helped widen the pool of candidates by allowing overseas officers to become chiefs in England and Wales as part of the Anti-social Behaviour, Crime and Policing Act 2014. He also said the department would support the College of Policing's work in the area. College of Policing CEO Alex Marshall said: "There is no shortage of talent among officers which is evident from those taking part in the College's strategic command course, which must be completed before becoming a chief officer." He added that the College was available to provide "advice and assistance" and that this had helped Avon and Somerset secure six applications for the force's recent chief constable vacancy. In 2014 there were four chief constable appointments by PCCs, all of which had more than one candidate for the post. The National Crime Agency, Police Scotland and City of London Police all advertised their most senior roles in 2015. In 2014 the Police Service of Northern Ireland and British Transport Police both recruited. Of the five bodies involved only the Northern Ireland Policing Board was transparent about the number of candidates it had – three. The Home Office, Scottish Police Authority, City of London Corporation and BTPA all either refused to say or did not respond to PoliceOracle.com's attempt to find out how competitive the posts were. However Theresa May's department has previously said there were at least four applications for the NCA role, and the SPA did not refute Scottish TV reports that it received six applications for the chief constable post. City of London Police and BTP both appointed personnel from within their own ranks. PCCs regularly report the number of applications they have for posts to their police and crime panels.